Historically, there have been many single women who have faithfully served as missionaries on Lutheran Brethren International Mission’s Africa fields. These women served primarily in specific roles as LBIM partnered with our African sister Churches in their development. Single women are not focused on family responsibilities. Thus they are able to focus on targeted ministry and statistically persevere well into long-term productive service. A traditional missionary family on the Chad field today typically involves the husband engaging in ministry among men, while the wife is, by necessity and choice, at home, caring for the everyday tasks of keeping a home, preparing food, primary parenting, and schooling children. A single woman on the field is able to focus on ministry to women and children, a ministry that is not culturally appropriate or accessible for male missionaries. LBIM desires to focus evangelism on families and communities, not individuals. Single women on the field allow us to more effectively target the wives, mothers and children of the people groups among whom we are seeking to engage. Holistic mission methodology focusing on families and communities is key in terms of passing the gospel on through children and extended families, which will in turn serve as a catalyst for the growth of the Church among an ethnolinguistic group of people. It is therefore vital that we have both men and women engaging them in ministry. Working with community women to identify felt needs, both economically and socially, and facilitating cooperative strategies to meet those needs. Teaching women and children could take place in conjunction with literacy and translation ministries. The majority of rural individuals that LBIM is engaging in mission are illiterate. Many express a felt need of providing education for their children so that they can read/write and otherwise advance socio-economically. A single woman could be very effective in serving as a teacher for both children and women. Community and preventative health care. Child mortality in Chad is very high (40–50%). Much of this mortality is due to easily preventable diseases such as malnutrition, malaria, intestinal parasites and water-borne diseases. 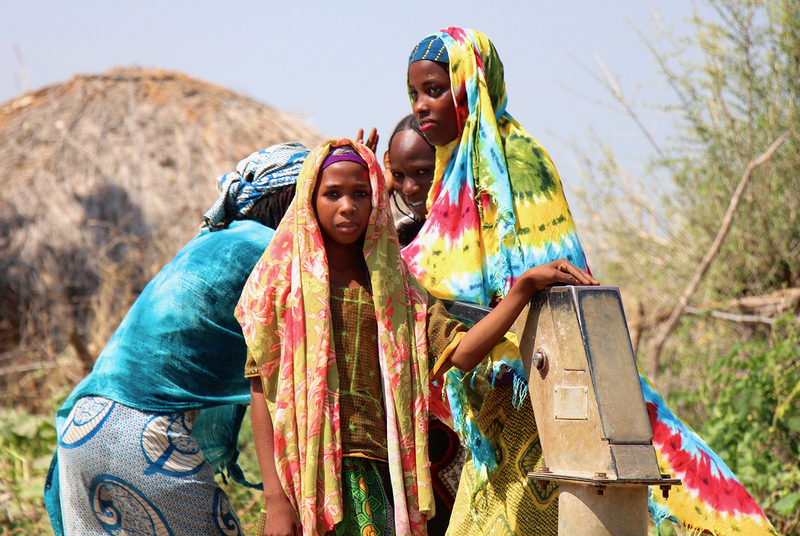 Mothers are the primary care providers for children in Chad. A single woman trained in health care could do much to reduce child mortality. In a society, where the rights and privileges of men are typically valued more than those of women, a single missionary woman may have reduced influence or platform from which ministry can take place. In a society, where polygamy is commonplace, there are no religious hurdles for a man to have another wife. Furthermore, it is acceptable for a man to have a wife outside of his religion with the reasoning that this will lead to a conversion. This cultural and religious mindset will likely mean proposals and even pressure on a single woman to accept marriage proposals. In a society, where women’s rights are often not regarded or protected, physical safety and the security of a woman and possessions are a concern. Single women will ideally be partnered together in teams of two for the purpose of support, accountability, protection and fellowship. The exception to this may be a mature woman of strong character who may live alone, with the condition that she is in close geographic proximity to team members. Single women will have a mission advocate (male), who will go to the village chief and elders to explain and gain their agreement to proactively address the issue of marriage proposals. Single women will have adequate security measures in place at their residence. Rev. Matthew Rogness is the Director of International Mission for the Church of the Lutheran Brethren.